The fact that there are three locos on this train unfortunately hasn't helped with its timekeeping! 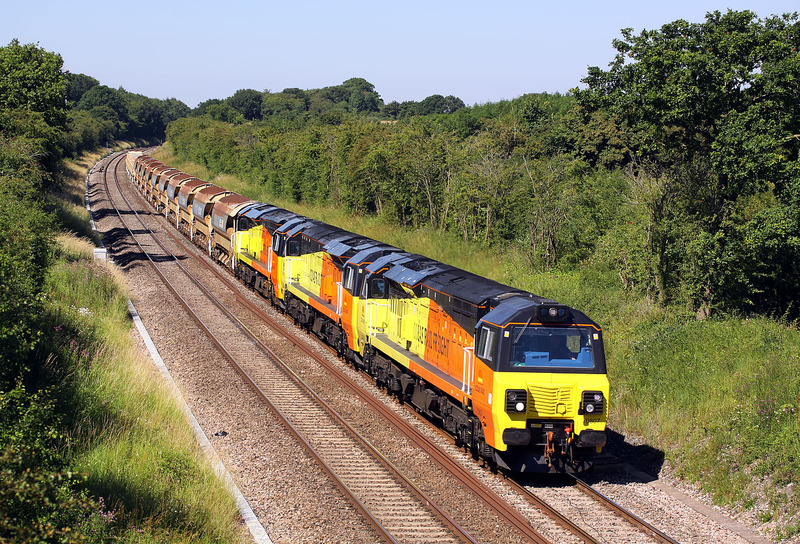 Running 90 minutes late, 70807, 70806 & 70801 passes Hay Lane (near Swindon) on 10 July 2014 with the 6M50 07:55 Westbury to Bescot engineers train. 70806 & 70801 would be being moved dead in tow in readiness for weekend engineering duties.